The tech sector has been on a tear despite intermittent weakness, triggered by concerns over whether we are amid a tech bubble. The extended strength in the sector reflected fundamental soundness of major tech companies, with the sector’s earnings growth outpacing the rate of economic revival. The S&P 500 Information Technology (Sector), which peaked at 988.49 on March 27, 2000, ahead of the tech bubble burst, fell about 80 percent from the peak before it began to stage a recovery. The recovery took fairly long — a little over 17 years — to be termed as complete. On Wednesday, the index moved above its 2000-peak and ended at 992.29. The index augmented its gains on Thursday and is closing in on the psychological barrier of 1,000. 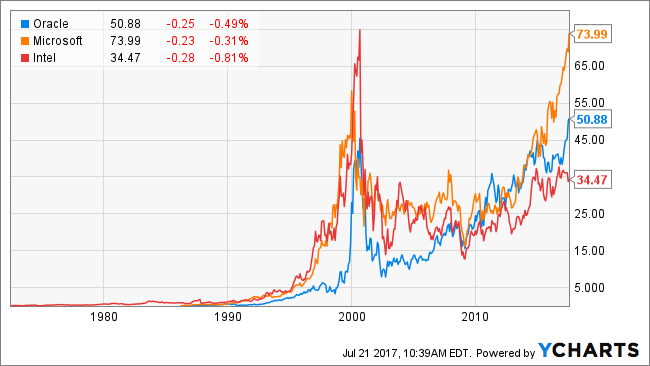 Before looking into what fueled the current technology recovery cycle, here is a brief recap of the dot-com bubble of the 1997–2001. 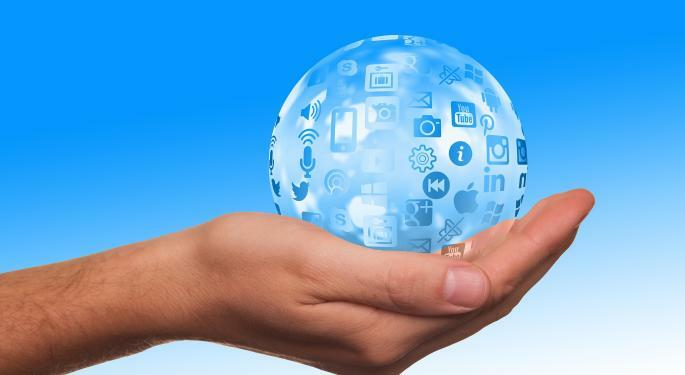 Around this time, several tech companies mushroomed, capitalizing on the necessity for businesses to adapt to the emerging Internet technology. The irrational exuberance could not be sustained for long, as these dot-com companies shut up as quickly as they sprang up, leaving investors who had bet on these companies in a lurch. An asset price bubble or financial bubble or merely a bubble is a situation in which assets are priced significantly higher than their intrinsic value. In other words, the prices are not justified by their fundamentals. Typically, a bubble is recognized only after it bursts. Bursting of the bubble is a sudden collapse in inflated asset prices. Even stocks of fundamentally sound established companies such as Cisco Systems, Inc.(NASDAQ: CSCO), Microsoft Corporation (NASDAQ: MSFT), Intel Corporation (NASDAQ: INTC), Oracle Corporation (NYSE: ORCL) and International Business Machines Corp.(NYSE: IBM) went through the turmoil before some semblance of sanity returned. Most of these stocks have gone past their dot-com era peak, while some like Intel are still treading waters. 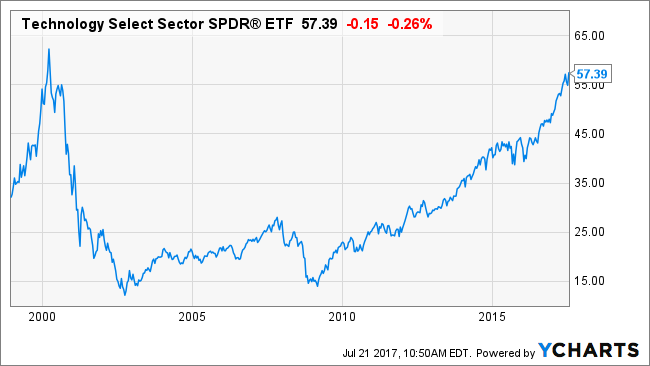 The collapse witnessed by tech stocks ceased in late 2002, as reflected by the Technology Select Sector SPDR Fund (NYSE: XLK), which bottomed in October 2002. Although tech stocks took fledgling steps toward recovery, the Great Recession took the wind out of the sails of the market in 2007, pushing tech stocks toward their post-bubble lows. However, along with the economy and the rest of the sectors, tech stocks embarked on a steady recovery since March 2009, and therefore the recovery in tech stocks is as old as the current economic recovery. Facebook Inc (NASDAQ: FB): +330 percent (since its listing in mid-2012). Apple Inc. (NASDAQ: AAPL): +1,080 percent. Amazon.com, Inc. (NASDAQ: AMZN): +1,480 percent). Netflix, Inc. (NASDAQ: NFLX): +3,500 percent. Google/Alphabet Inc (NASDAQ: GOOGL) (NASDAQ: GOOG): +487 percent. These five stocks have accounted for 40 percent market cap gains of the S&P 500 thus far this year, Anthony Mirhaydari said in an article published in CBS News. Mirhaydari, however, feels some of the optimism is justified, given the strong earnings growth reported by these companies and improving economic fundamentals. He feels sector rotation is also helping technology stocks, as investors move money out of the ailing retail sector and the energy sector, which is subject to vagaries in oil price. The froth versus solid fundamentals could be an ongoing debate. As investors, we can only hold onto the phrase “enjoy while it lasts,” and in this case, ride the upside while it lasts.